Legendary publisher Sega is not looking too good, after a financial report on the company’s profits showed very cloudy weather ahead. The news comes on the back of Sega’s announcement that it would be shuttering its San Francisco office and laying off close to 300 employees as part of a large-scale restructuring initiative. A financial report on the publisher’s earnings between last April and December showed that it had spent $210 million on developing games, while its advertising expenses increased dramatically to $73 million, up by 53 percent from last year. All that money spent has not translated to robust sales, unfortunately. 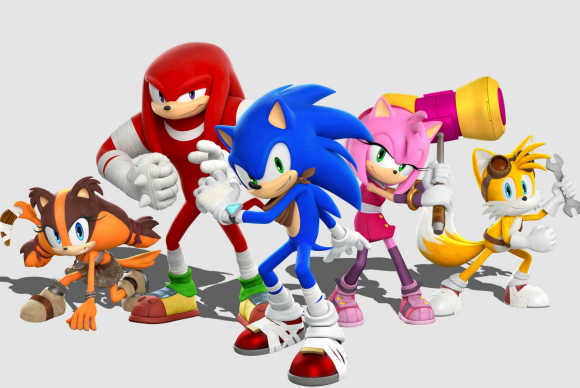 The company’s major console titles, such as Football Manager, Sonic Boom: Shattered Crystal and Sonic Boom: Rise of Lyric for the Wii U and 3DS have not sold well. Football Manager 2015, released last November, sold only 640,000 units. It’s predecessor 2014, sold 790,000 units, while 2013 sold 940,000 units. Meanwhile, the Sonic Boom games collectively sold 490,000 units as of Feburary 2, 2015; the lowest selling games in the entire Sonic franchise. Both games were also critically maligned, with Rise of Lyric and Shattered Crystal holding Metacritic scores of 32 and 47, respectively. Alien Isolation, on the other hand, proved to be a glimmer of success for Sega, as the game has sold 1.76 million units. Sega has had to revise its predicted sales numbers down across several consoles, with Wii U sales revised from 600,000 units down to 300,000, 3DS from 2.27 million to 1.38 million, and Xbox One from 440,000 to 340,000. Additionally, although Sega initially forecasted $34 million in net profits for the financial year, that number has been dramatically revised down to $18 million from a total revenue of $685 million over the three quarter period. Sega now expects to lose $110 million for the full year.